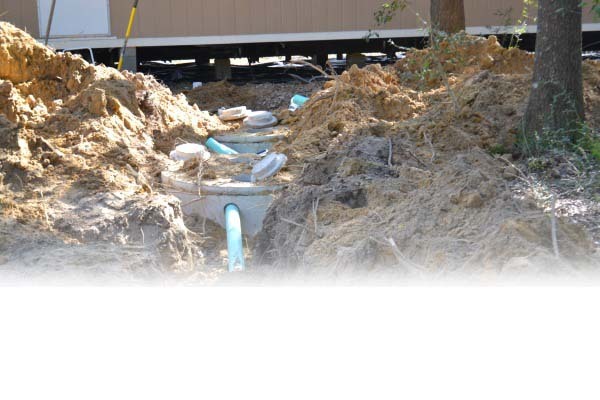 At East Texas Sewer we can help you through the entire process of a new commercial or residential septic system design and installation from start to finish. Our crew and our licensed sanitarian can design and install large or small septic systems, drain fields, septic tanks, and sprinkler systems. We will meet you on site to evaluate your soil and site layout in order to determine the best system to meet your needs.